Nashville is my favorite weekend getaway. I absolutely love it! There is so much to do and so many great places to eat! We went up to Nasville for my birthday a couple of weekends ago and had a great time. 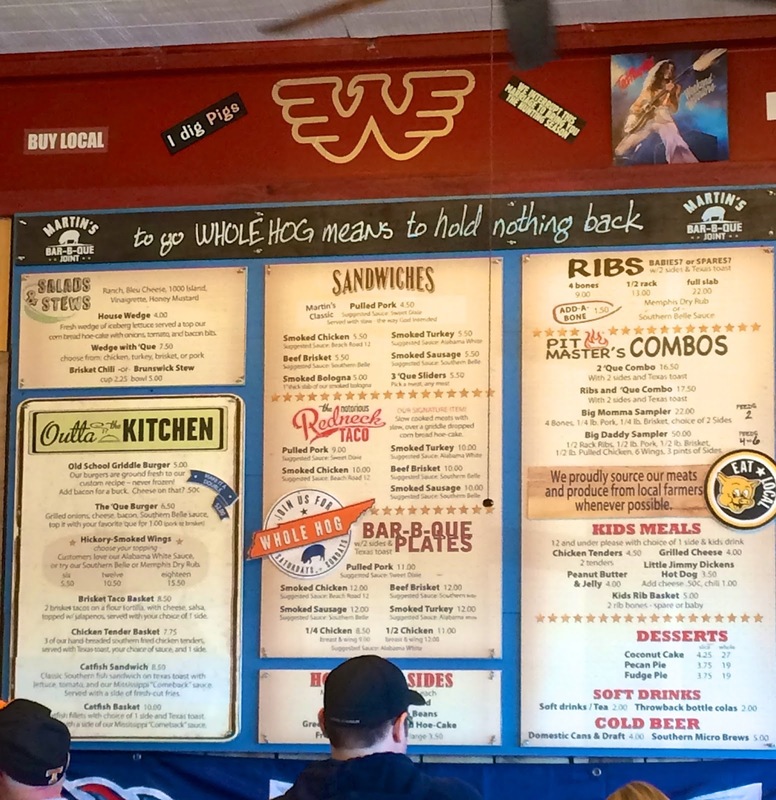 We hit up some of our favorite spots and tried some new places too. 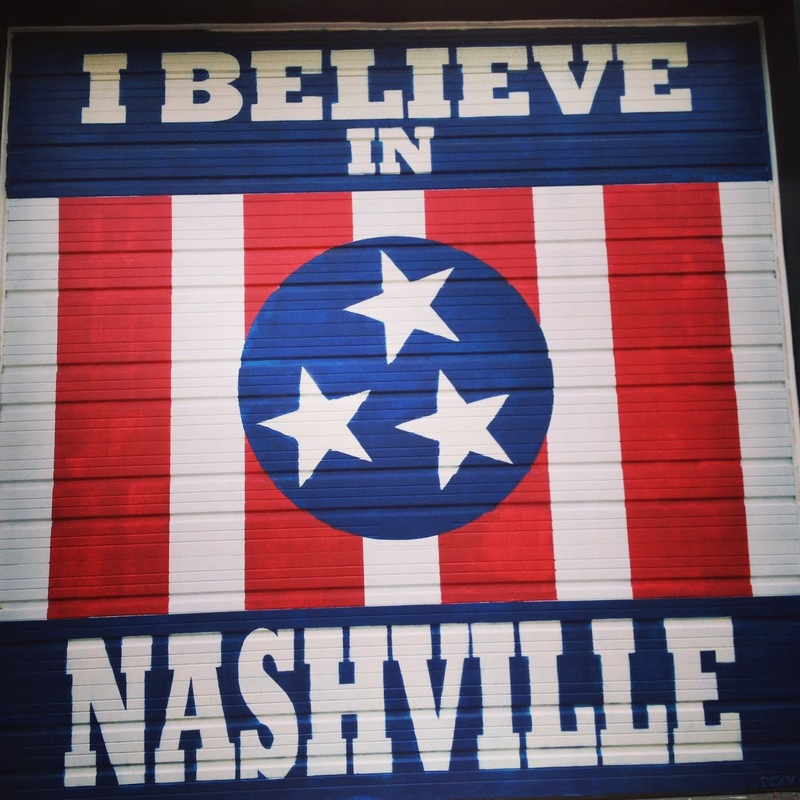 I want to share some of our favorite places we've visited on our many trips to the Music City. 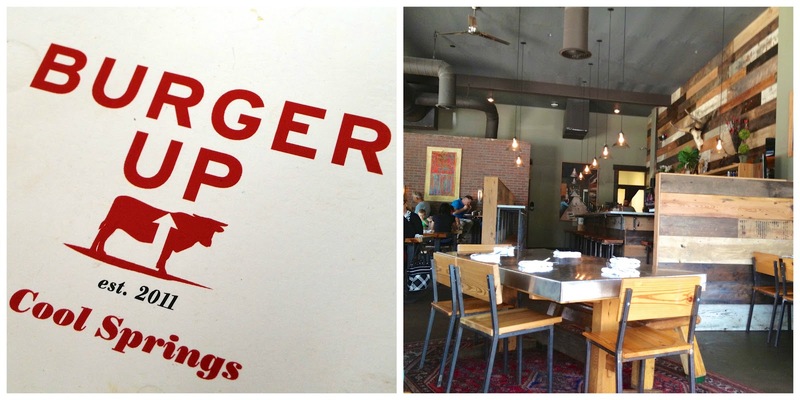 Burger Up has 2 locations. We ate at Cool Springs location since it was on our way into town. I got the Woodstock - Benton’s bacon, white cheddar and jack daniels maple ketchup. Chicken Legs got the Mint Lamb Burger - mint sauce, arugula, goat cheese, marinated tomato and grilled onions. We both loved our burgers. The burgers come with unlimited fries. I would never be able to eat a second cup of fries, but if you can it is free! I can't wait to eat here again! 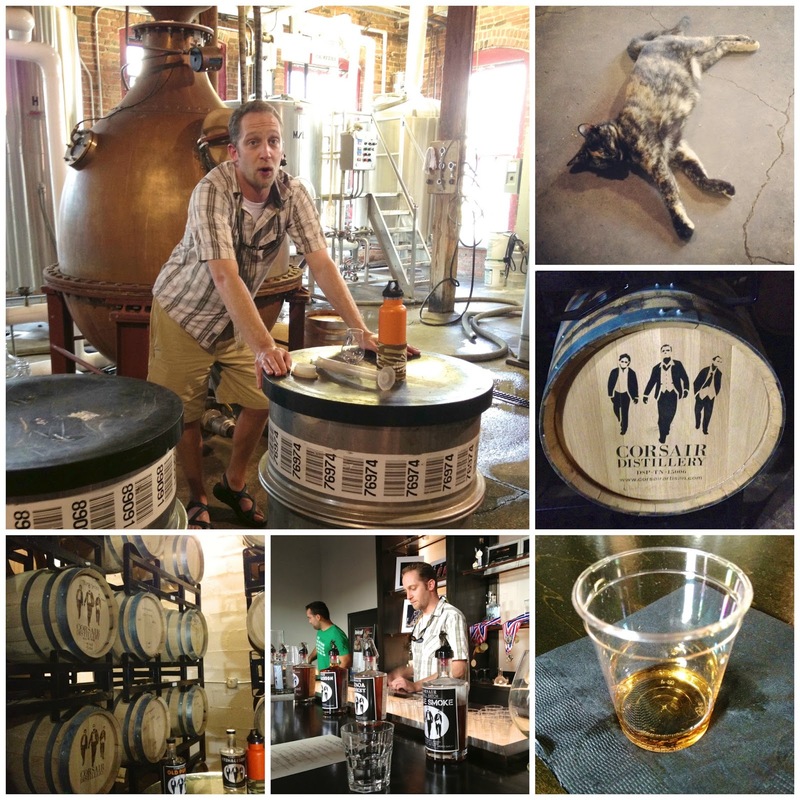 Did you know that Nashville has a craft distillery? 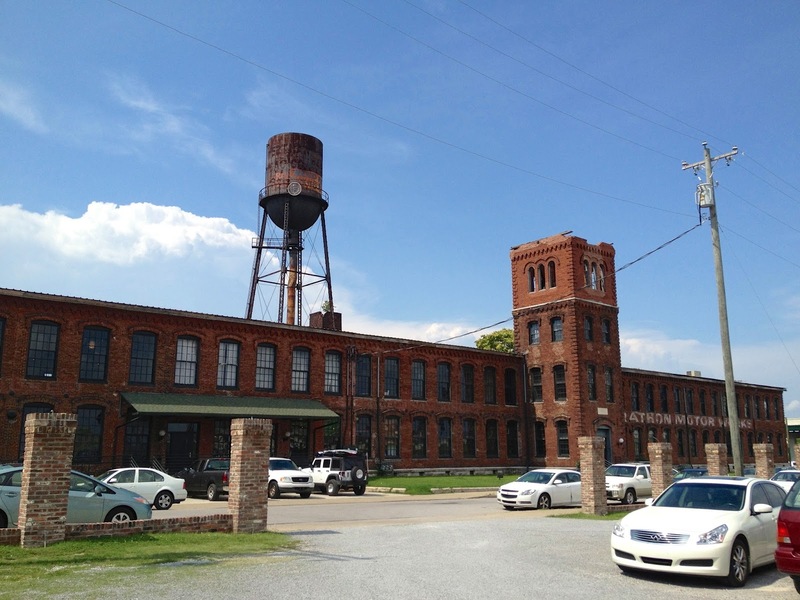 Corsair Distillery is located in the Marathon Motorworks Village. Corsair has a second location in Bowling Green, Kentucky. 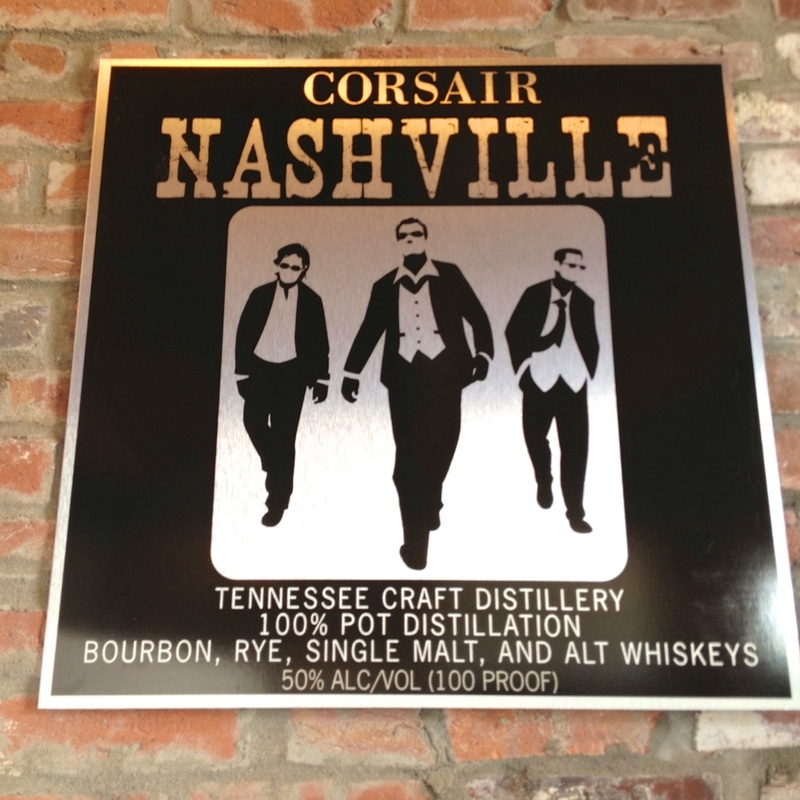 The Nashville location provides the setting for brewing all of the whiskey mash for Corsair’s traditional and experimental whiskeys. We took a tour of the distillery. They told us how they make the whiskey and vodka. Everything is hand-made. They even place the labels on the bottles by hand. They have a distillery cat! You know I loved that! Looked like a short-hair Fluffy. After the tour there is a tasting. We tasted everything - it was good, but strong! I bought a bottle of vanilla vodka. It is great in diet coke. 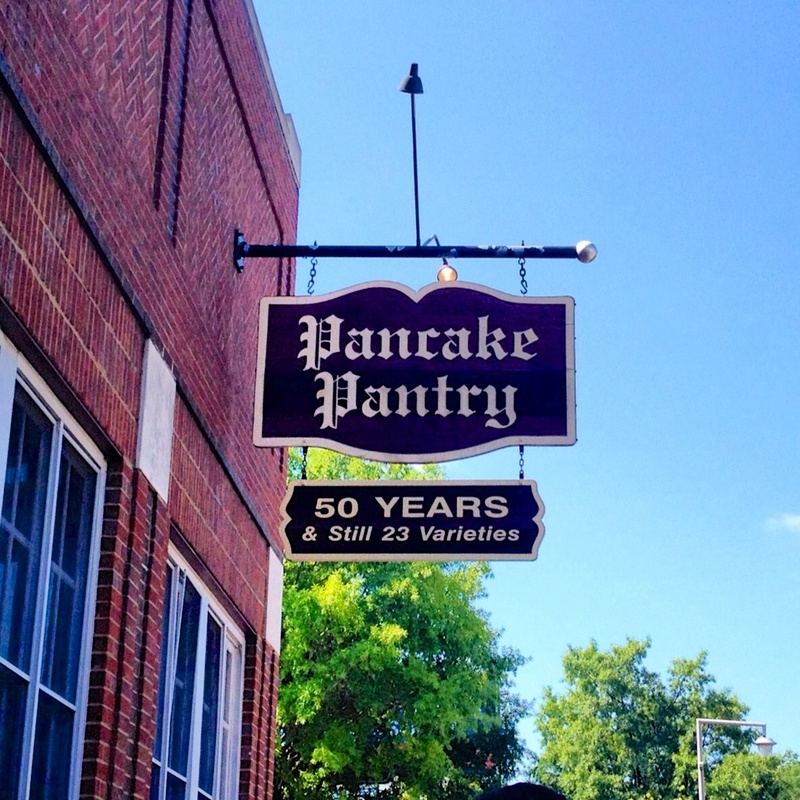 No trip to Nashville is complete without a stop at the Pancake Pantry. 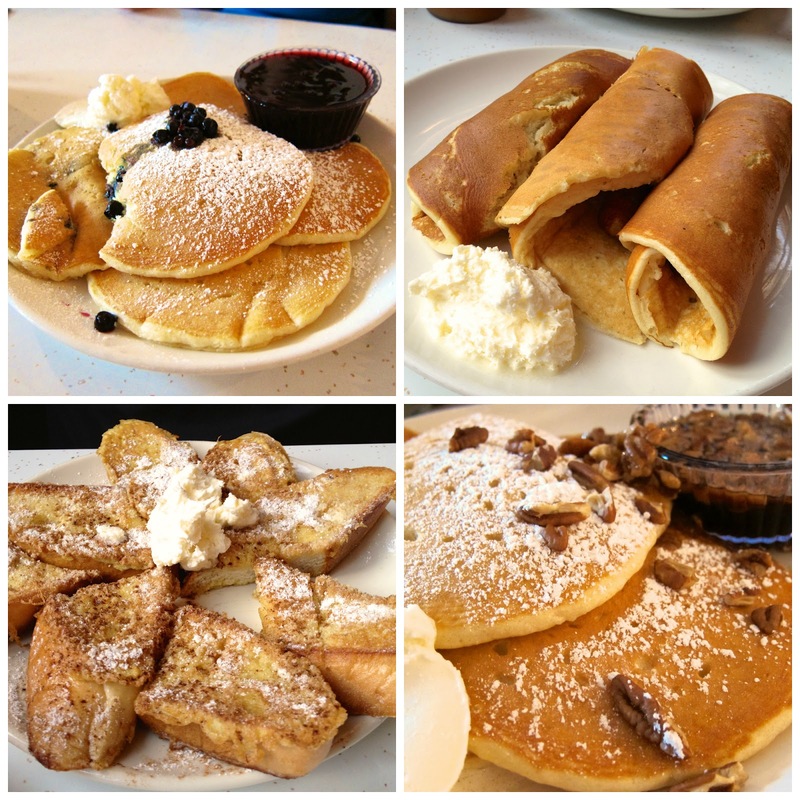 They have the best pancakes around! The line always wraps around the corner, but it moves fast. They have free coffee near the front door while you wait. If you have a big group keep in mind that they won't seat you until your whole party is there. Bar-B-Cutie has been around since 1950. They have been voted best BBQ in Nashville 4 years in a row. We stopped in on our way into town and tried it out. It was good. We started with some fried pickles. You can't go wrong with fried pickles. The pulled pork was tender and delicious. I got the BBQ chicken. YUM! The sides were also great. I especially loved the corn cakes. 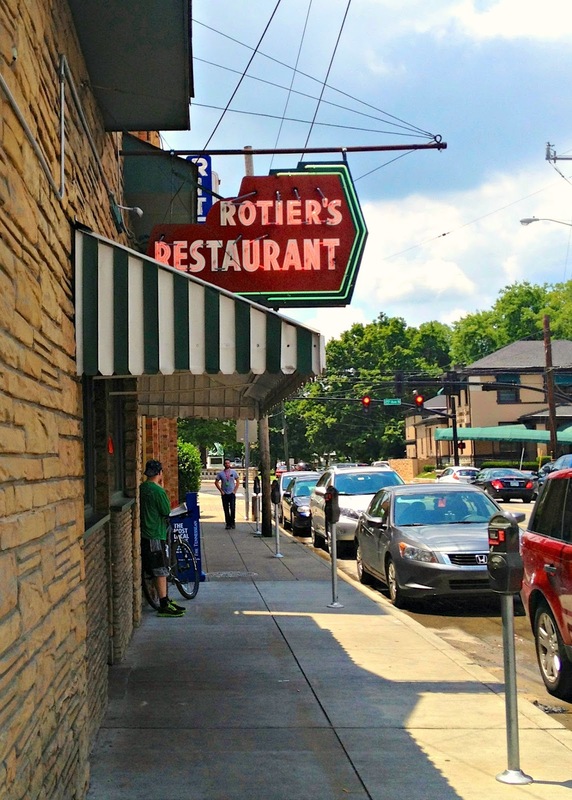 Rotier's is another Nashville institution. It has been around since 1945. The interior hasn't changed - probably ever. Rotier's is know for it's burgers. You have to get the burger on french bread. It is great! Chicken Legs tried the Patty Melt on one visit. It is good, but not as good as the french bread burger. 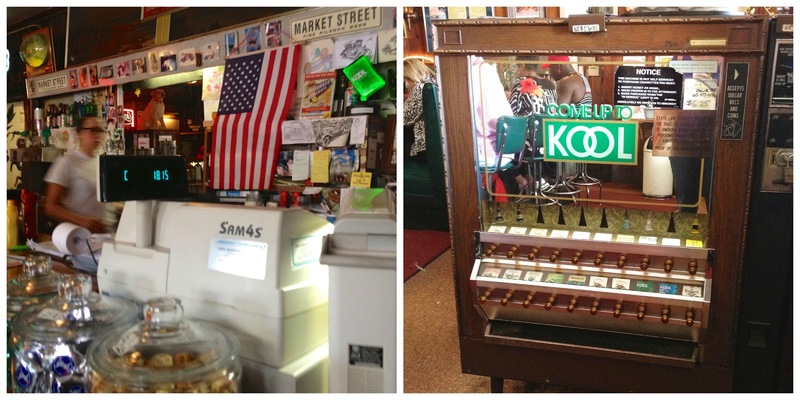 Rotier's is old school at its best! I have been dying to try Martin's ever since I saw it on Diners, Drive-Ins and Dives. Chicken Legs tried the brisket. It was SO good. Super tender and juicy. I am getting it next time. I got the famous "Redneck Taco" - pulled chicken on a corn bread hoe cake. 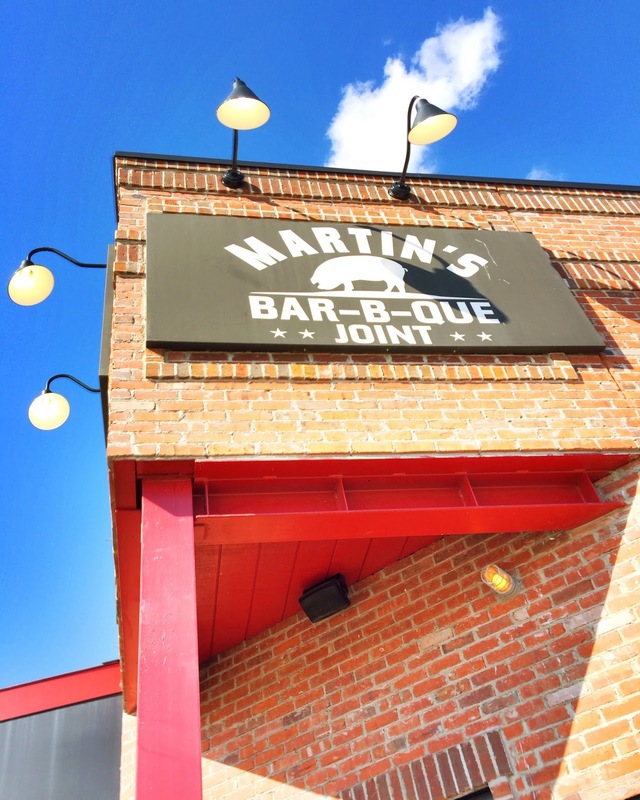 On Saturday and Sunday, Martin's does a whole hog. They started pulling the meat while we were there. SO neat! 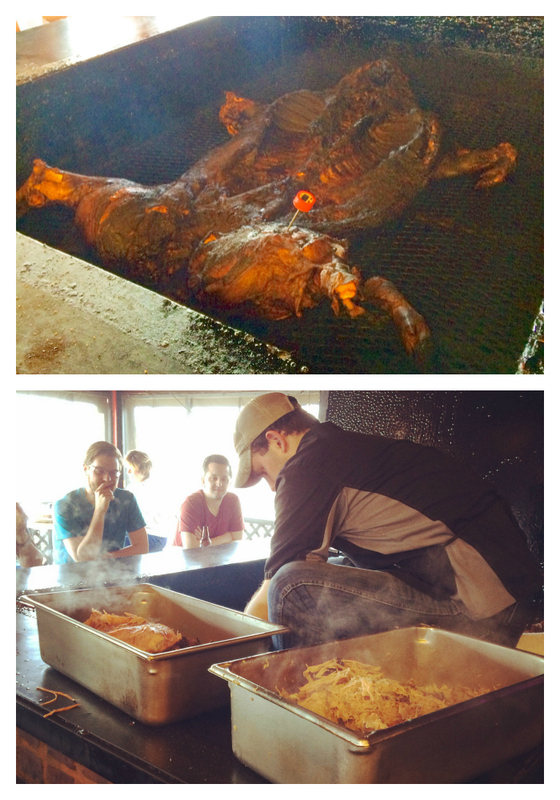 It takes 22-26 hours for the hog to cook. They put one on Friday afternoon and another one on Saturday afternoon. Mental note - go for dinner on Saturday or Sunday. 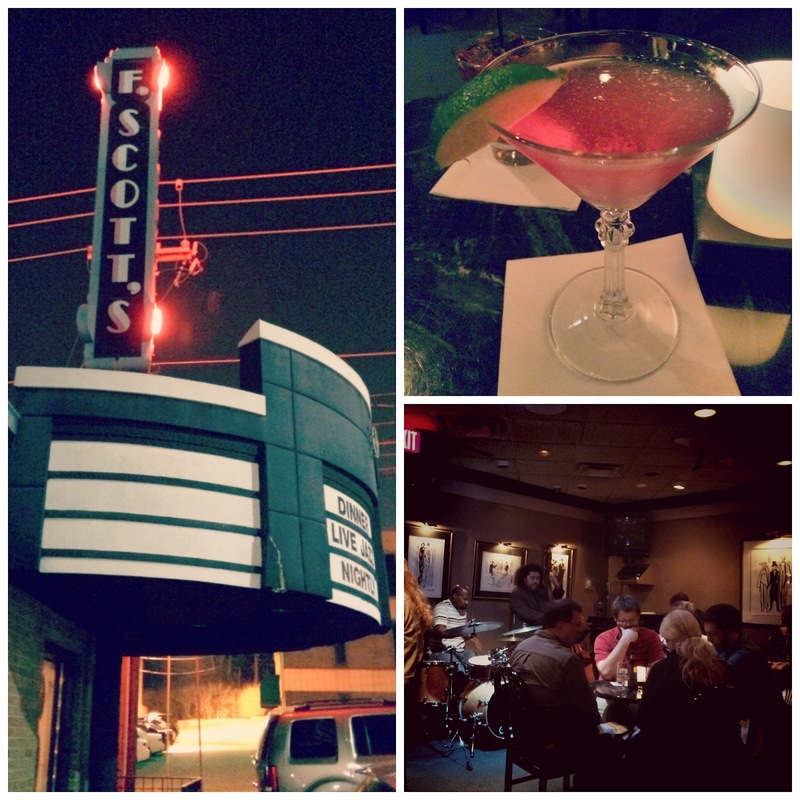 F. Scott's is a restaurant and jazz bar. It is our favorite spot to have a cocktail when we are in Nashville. We love the live jazz and the drinks are great. Chicken Legs has eaten here many time and highly recommends the lamb burger. F. Scott's is moving from their current Green Hills location later this year. They are going to be the restaurant in the Homewood Suites in West End. We are hoping they don't lose the ambiance of the current location. 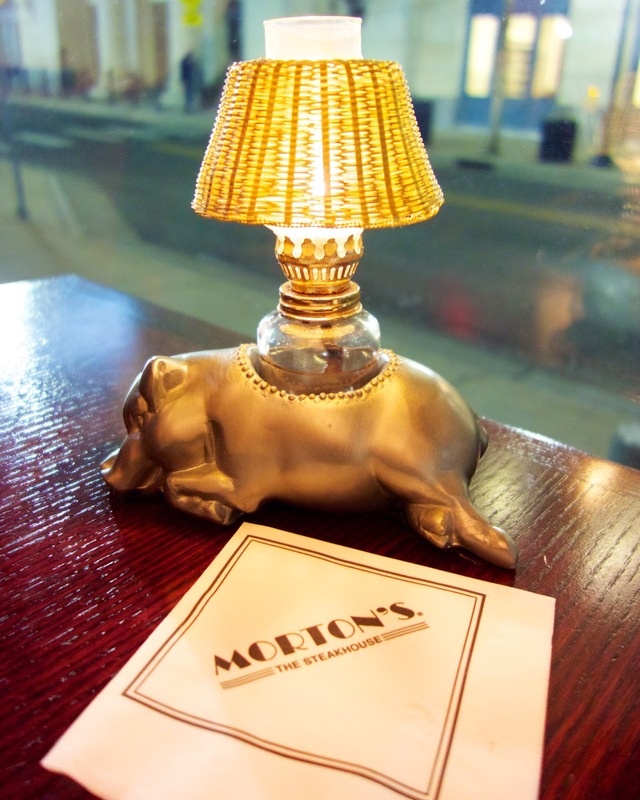 Morton's is my favorite steak place. I love sitting in the bar and eating some of the bar bites. 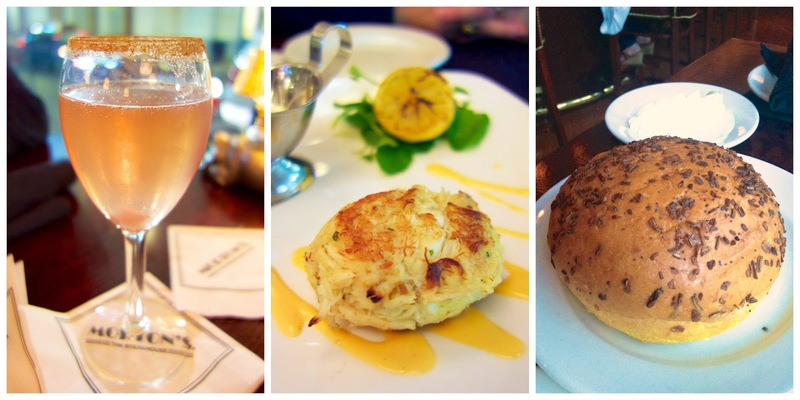 We usually start off with a crab cake - it is all crab, no fillers. Delicious. Their bread is also fantastic! Love the big fat onion roll. Chicken Legs got the lamb chops this time. He ate every last bite! I got the Petite Filet Mignon Sandwiches off the Bar Bites Menu. They are the best! We got a side of Twice Baked Au Gratin Potatoes. I love these potatoes! 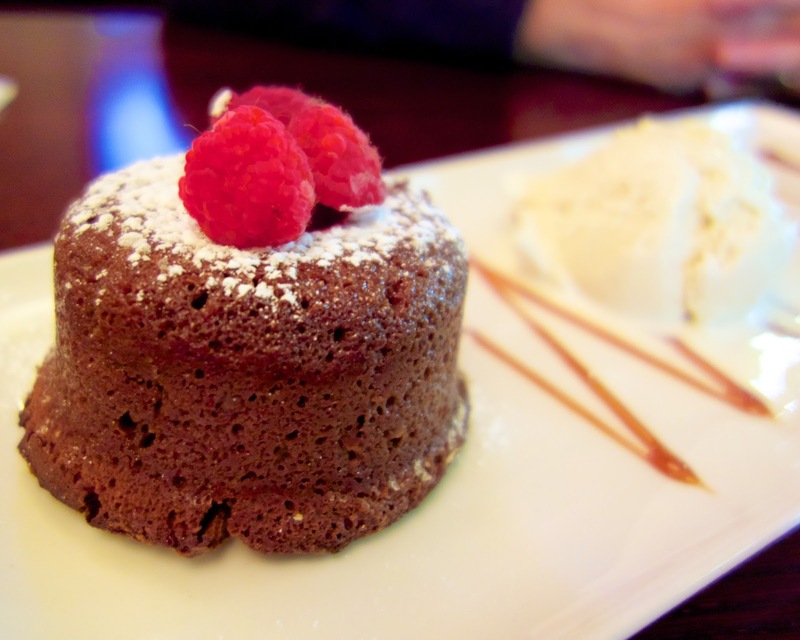 No meal at Morton's is complete without Morton's Legendary Hot Chocolate Cake. It is an ooey gooey lava cake. We have several more trips to Nashville planned this year. What is your favorite place to eat in Nashville? I need suggestions! My daughter will be attending Vanderbilt University starting this fall. None of us have ever been to Nashville (We live in Ohio), but we are looking forward to our first visit in a few weeks. Keep those recommendations coming! 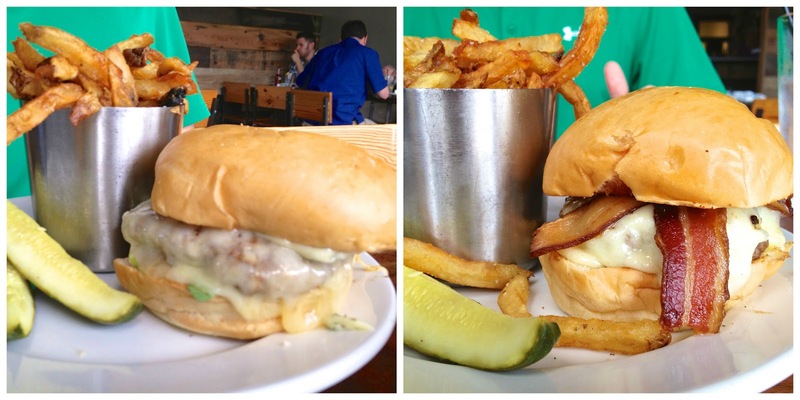 We love the Pharmacy in East Nashville.. the farm burger is all local with bacon, a fried egg & cheese... yum! San Antonio taco near Vanderbilt is fun & has the best queso. Another favorite is the Pfunky Griddle for breakfast.... there are griddles in the middle of your table to cook your own pancakes & eggs, and its very cute! And a must is the Barista Parlor. We also LOVE Fido for breakfast, brunch, or dinner. Much better than Pancake Pantry, if you ask me--and it's right down the street. I honestly haven't had anything at Fido that wasn't good and I haven't craved later--we go often for breakfast/brunch (anything off the special menu will be good and we ALWAYS get the cheese spuds) and dinner. They have a great local burger--probably the best in the city, although I do love Burger Up, as well. Fido's Green Chili Mac & Cheese is to die for, too! And their coffee can't be beat! For dessert, you can't miss Jeni's. They have two Nashville locations (one in East Nashville and one on 12 South) but they also serve some of the flavors at Hot & Cold (right next door to Fido). I'd honestly recommend visiting an actual Jeni's location for your first time because the atmosphere is a part of the experience, plus they have more of a selection and you can sample as many as you want. In the late Summer/Fall, my favorite is the Sweet Corn & Black Raspberry ice cream--my mouth is watering just thinking about it! If you're in the mood for Mexican, hit up Chagos Cantina. I haven't had anything I haven't liked! They have a great brunch, also. 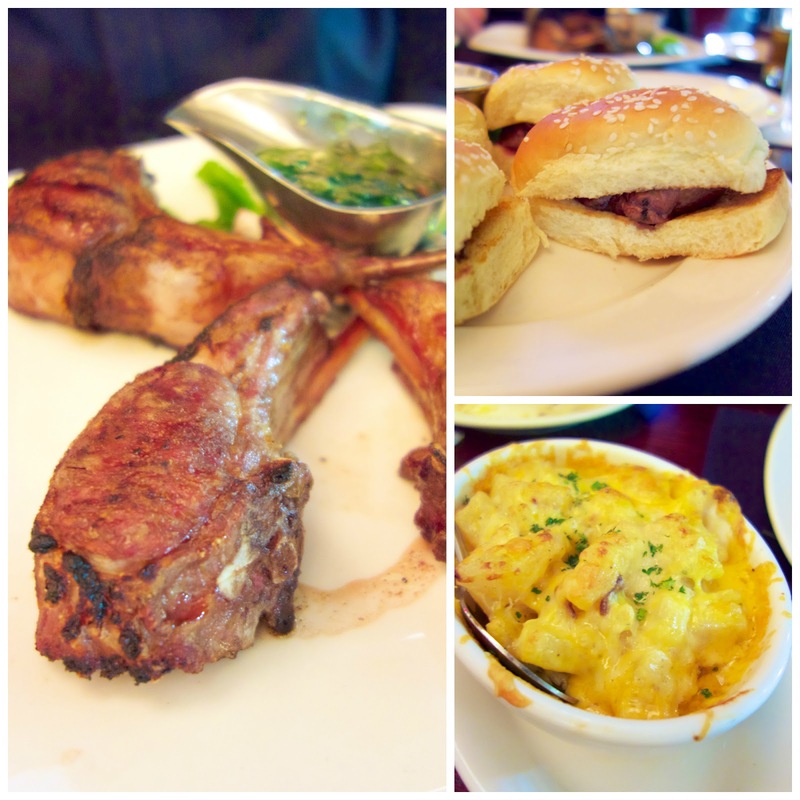 We recently ate at Table 3 by Green Hills Mall and it was tasty. I had the French dip with baby greens & my husband had the cheeseburger and pomes frites, Delish! I think the same group that owns F. Scott's owns Table 3. The Loveless Cafe is a great place to try! 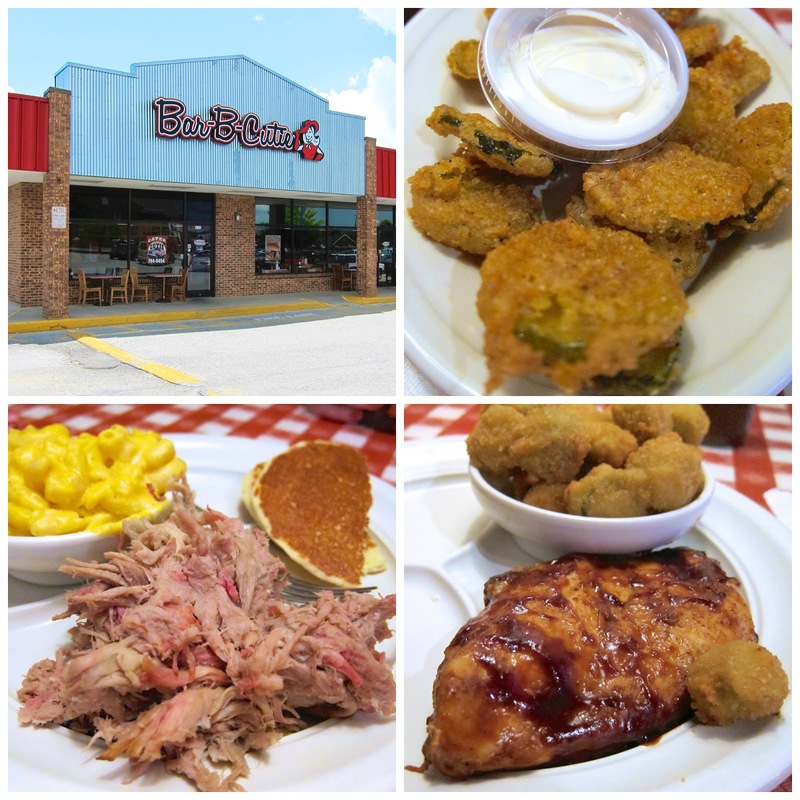 Classic meat and three and typical southern style cooking, but oh so good! Their biscuits were featured on a episode of Throw down with Bobby Flay. It's located in a former motel out on highway 100 and there are several neat little shops on the property. They also have lots of local music events in the summer! We like Jack's BBQ on Broadway. If you want to travel a little outside of town check out Cafe Rakka in Hendersonville for some authentic Greek/Mediterranean food. Also featured on Food Network (Guy's Diners, Drive in's and Dives!). We love Burger Republic! It's my husband's favorite burger place. There's one in Brentwood and just opened one in the Gulch. Whenever we got to visit my sister and bro-in-law, we always make a point to eat there. I've also heard Pharmacy is good, but never been. Happy belated birthday, Stephanie! Looks like such a fun weekend! When we lived in MS, we'd visit Nashville whenever we could. It's such a fun place! 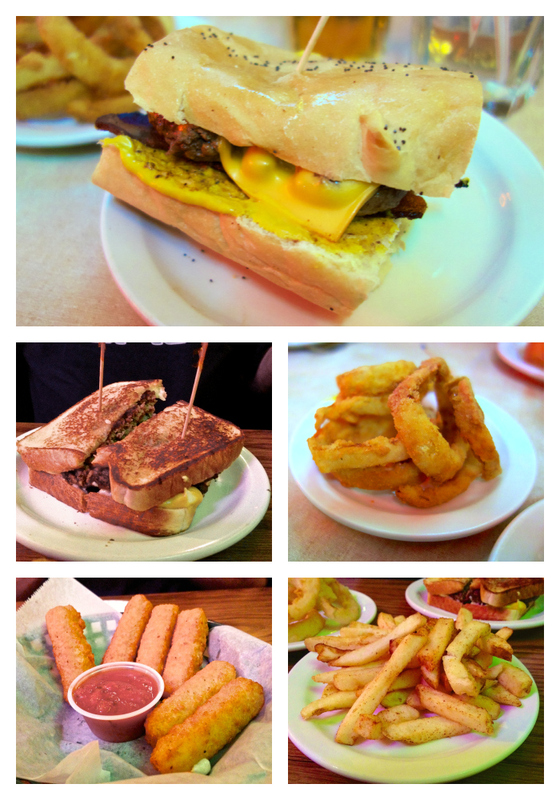 I went back last year for a blogger event and tried The Loveless Cafe for the first time. So, so good. Barbara's Home Cookin in Franklin/Brentwood is AMAZING. It's located INSIDE this old lady's house and she cooks the most amazing southern food. Poppysead chicken casserole is to die for. It is a MUST GO TO! Also Edley's BBQ in 12 South is really good! OMG. Yes. Barbara's is UH-mazing! I live about 10 minutes down the road from there. Hard to stay away!! Hehe. I second the Loveless Café. It is just outside of town and worth the trip. 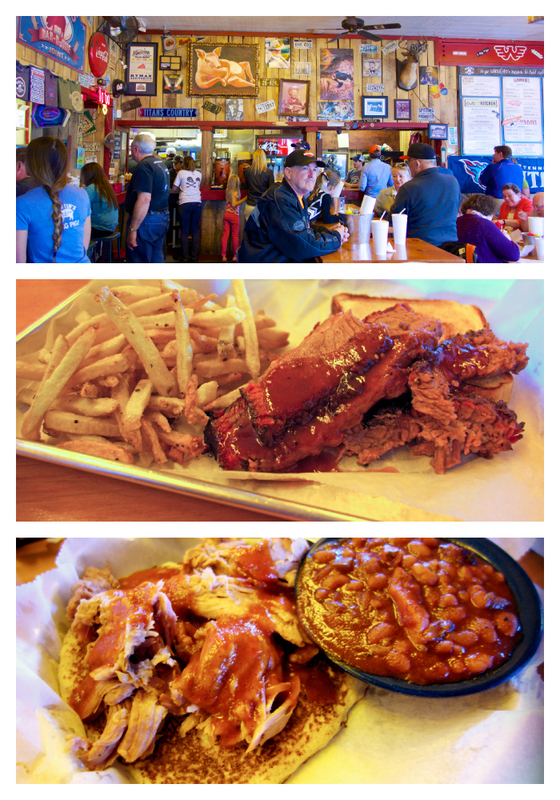 I love Martin's BBQ, have a review post draft in the works. But you also have to eventually try Prince's hot chicken if you haven't already. The Pharmacy Burger Parlor and Beer Garden is amazing. Also I recommend Hattie B's Hot Chicken (the banana pudding and jalapeño mac and cheese is amazing) and going to Mike's for ice cream on 2nd avenue is never a disappointment. The best cupcakes is from The Cupcake Collection in Germantown. I have lived in Nashville for almost 7 years and I love discovering new eats! Thanks for your post.